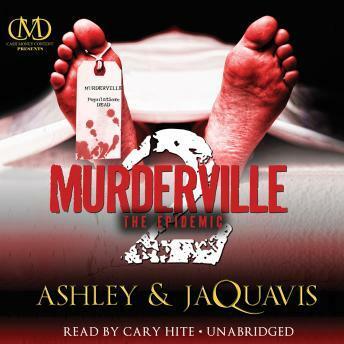 New York Times bestselling authors Ashley and JaQuavis are back with the second installment in the epic Murderville series. Love, murder, loyalty, and money fill this hood tale as they continue this international street saga. With Samad's target on her back, Liberty must survive the harsh streets alone. But when a chance encounter pushes her into the arms of a new friend, Po, the two take on the California kingpin-and step full force into the game. As bullets and sparks fly, the unlikely pair embarks on a serendipitous journey back to where it all started: Sierra Leone. With a new overseas connection, Po sees an opportunity that is too good to pass up. When his pursuit of the American dream conflicts with Liberty's past, will they be able to survive, or will the drug empire that they've built together come crashing down?